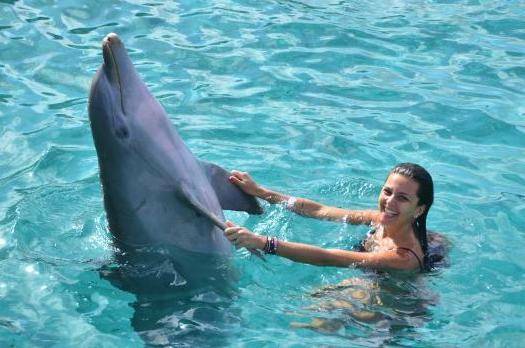 As you swim in the natural lagoon, the dolphins will join you allowing you to gently pet and interact with them. You will give them different hand signals on which they will react. In this experience small group sizes are maintained (maximum of 6) in order to give you the opportunity to touch, interact, swim and enjoy your time with these lovable marine mammals. This experience last for approximately 30 minutes.